Air Force Medal for Safe Flying, 3500 Hours with a ribbon bar. Air Force Medal for Safe Flying, 3500 Hours with a ribbon bar. ; in brass and enamels, 3-piece construction. 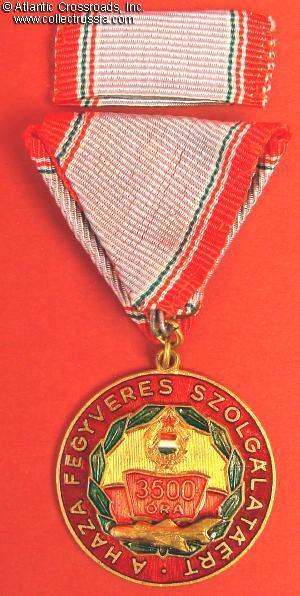 ; round medallion with red border and superimposed center medallion with green leaves along the edge and red-and-gold filed with numeral for number of hours of flown, superimposed MIG fighter airplane near the bottom.